My first little app is in the Windows 8 Store as of today, for free of course. 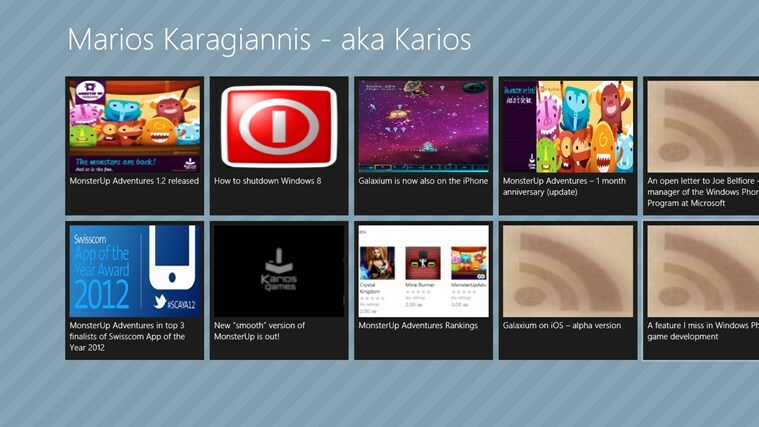 It is a simple app that you can use to read Karios Blog easier, faster and in Windows 8 style. You can even share articles with your friends as easy as using the ‘share’ charm. Enjoy!